Windshield covers keep your vehicle cool while preventing the sun’s rays from fading/damaging the interior. 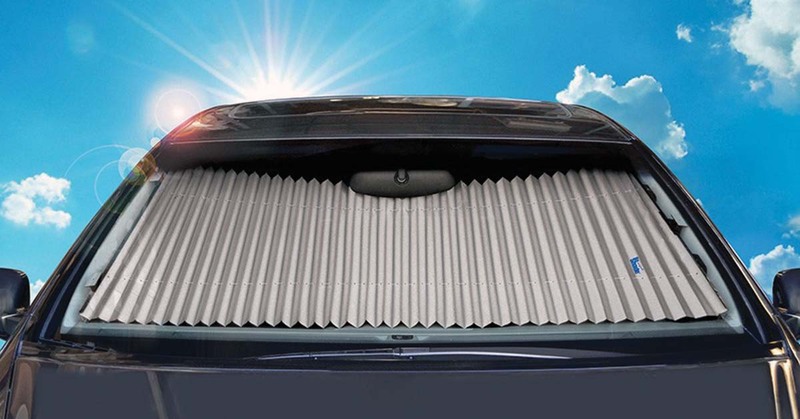 A retractable version from Dash Designs, makers of The Original Retractable Shade, is designed to fit your automobile’s specific make and model year. The accordion-type product opens and closes from side to side across the windshield, between the rear-view mirror and the windshield. When not needed the shade folds up and compactly stores away. The standard color is gray, but it’s also available in a number of patterns from Dash Design’s Art Series. Prices vary slightly depending on the vehicle, but generally run in the $40 range. Make your selection at www.dashdesigns.com.